Hot pepper (Casicum annuumL.) 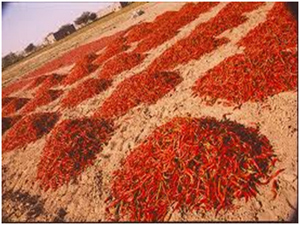 is an important commercial vegetable crop in india and one of the major export commodities among spices. 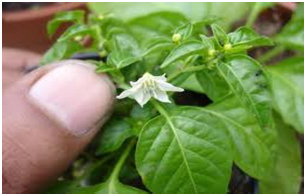 Considering its varieduses for fresh green, dry chilli, food processing and pharma industries, research programmes have been designed to develop high yieldind hybrids combined with multiple disease resistance to cater both national and international market requirements. Genetic enhancements. Programmes have been initiated to strengthen the genetic base through creation of variability among CMSand maintainer liner (A\Blines), restorer lines (R-lines) and new inbreds for different market segment. 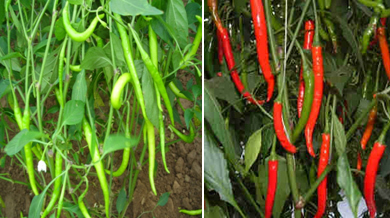 Wide and diverse germplasm collection of Capsicum annum, capsicum baccattum, Capsicum frutescens and capsicum chinensis.